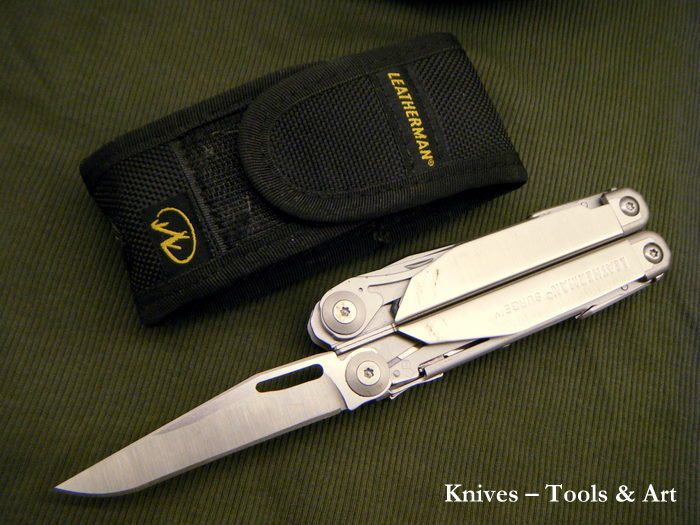 The Surge is one of Leatherman's full size heavy duty models featuring two knife blades; one clip point plain edge and one serrated sheep foot blade. They can be opened with a one hand maneuver and locks with a liner function. I like the robust quality of the Surge. Some years ago I moved into a new empty flat; had no kithen stuff, tools or gear what so ever. So I went and got me this Leatherman Surge and with it I fixed everything from my bike, the table and the food on it. 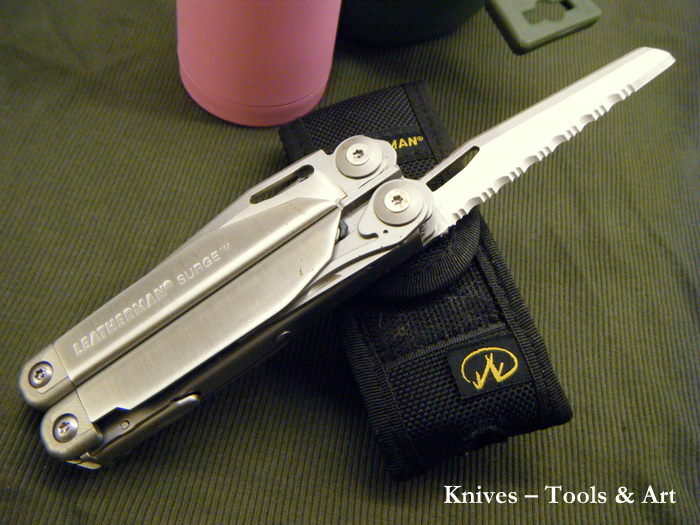 This 100% stainless steel tool contains over twenty different functions and comes with a nice nylon sheath. If you prefer a leather sheath; this is optional, and there is also a black oxide version of the Surge available.